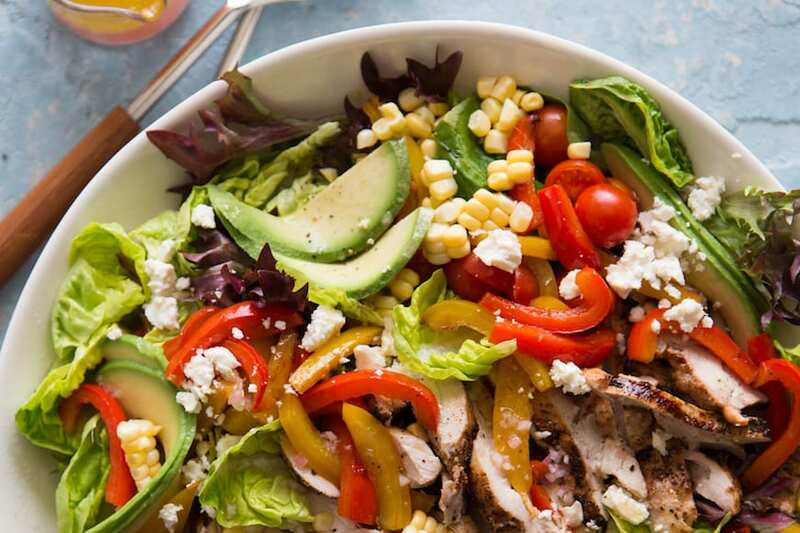 I’m calling this a salad dressing because that’s how I roll, but honestly you could use this as a salsa, a sauce for meats and fish or veggies or a salad dressing. Possibilities are endless. 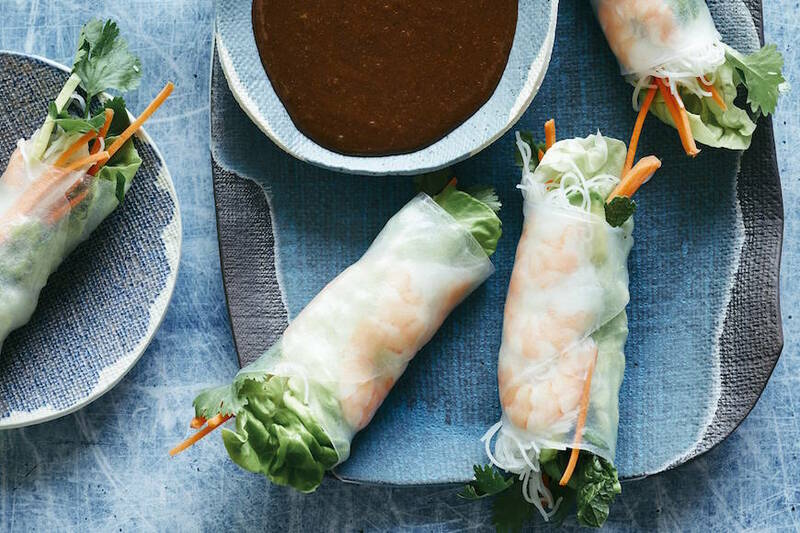 Earlier this week on snapchat you guys BEGGED for easy lunches! 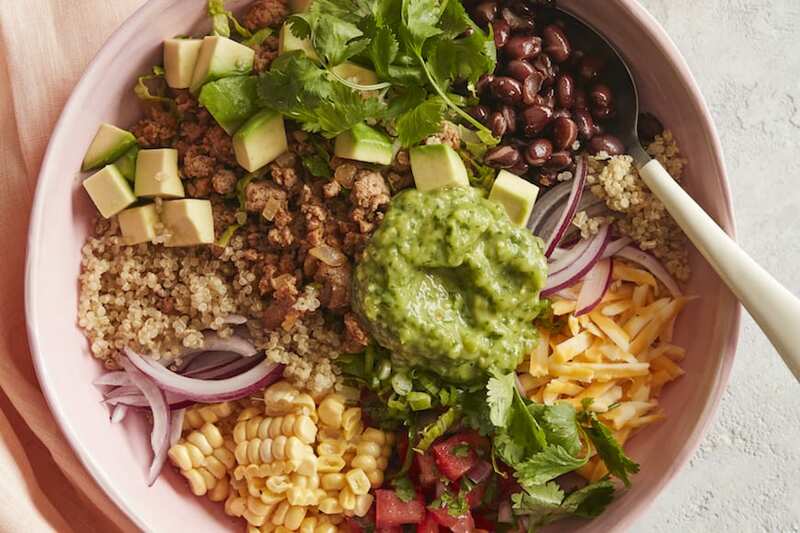 So as your knight in shining armor, here I am, with Quinoa Taco Bowls! 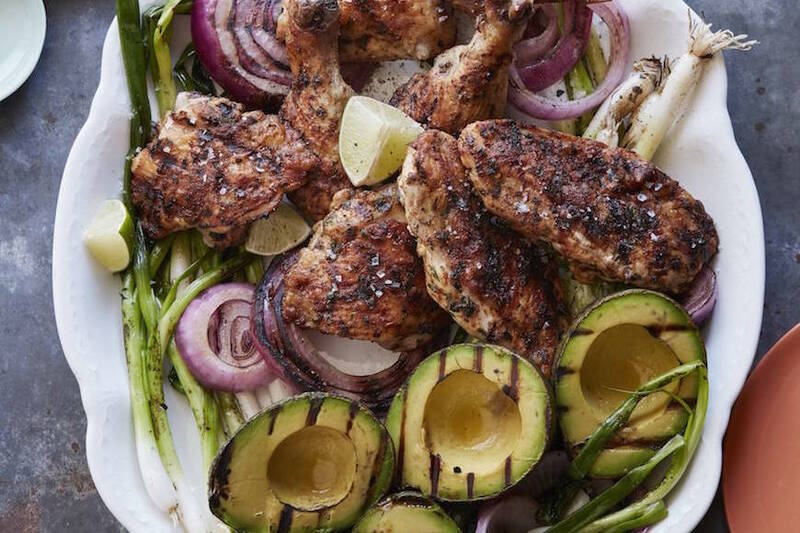 The most perfect recipe for Spice Grilled Chicken piled high with Grilled Avocado, Scallion, And Onion. 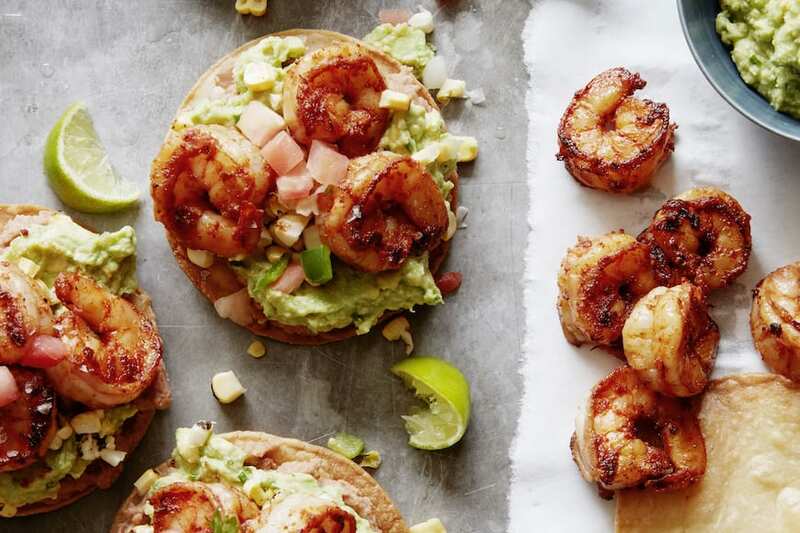 My kinda way to savor the last of grilling season! 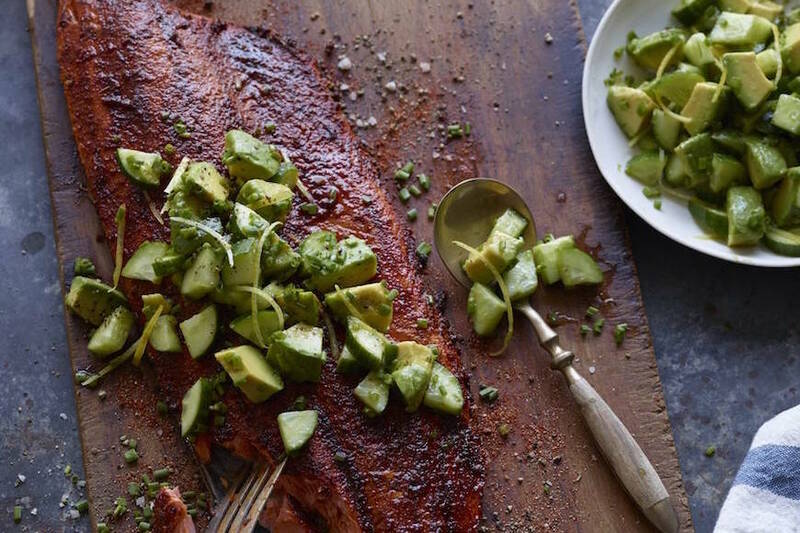 Blackened Salmon with Avocado Cucumber Salsa! 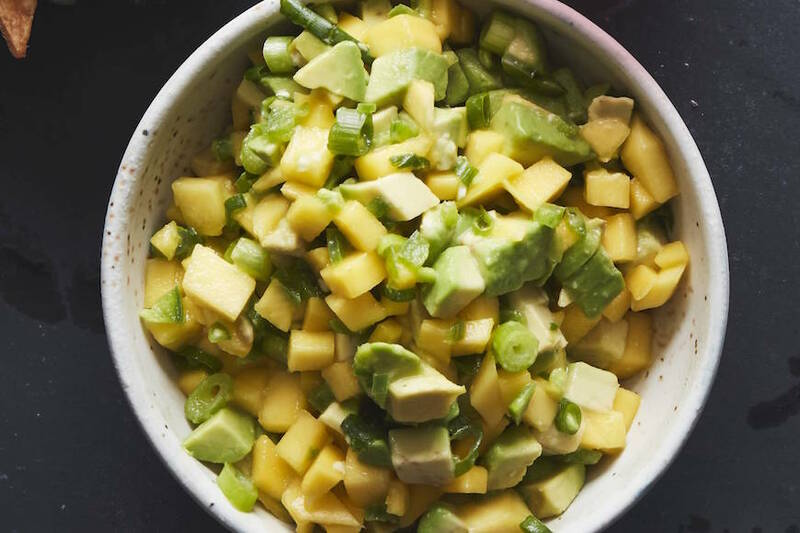 It’s a mix of spicy (from the seasoning mix) and cool (from the avocado cucumber salsa) and when you put everything together it’s a recipe for success! 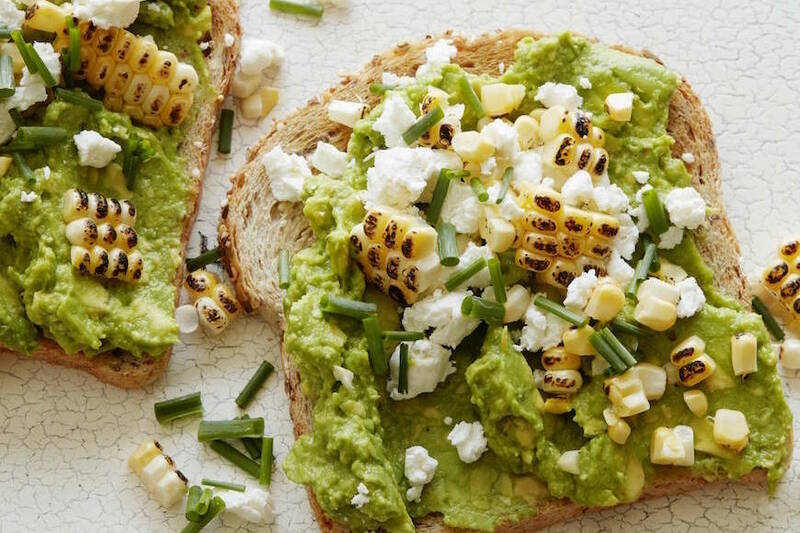 Last week someone on Instagram pointed out that I’ll basically look for an excuse to add guacamole or salsa to anything – and guess what… they were SO right! 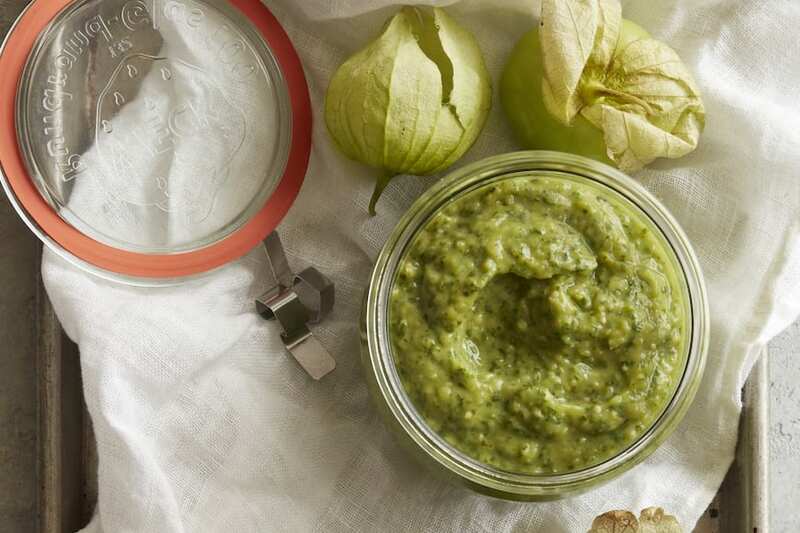 Being the salsa snob that I am, I take my Tomatillo Avocado Salsa very seriously. 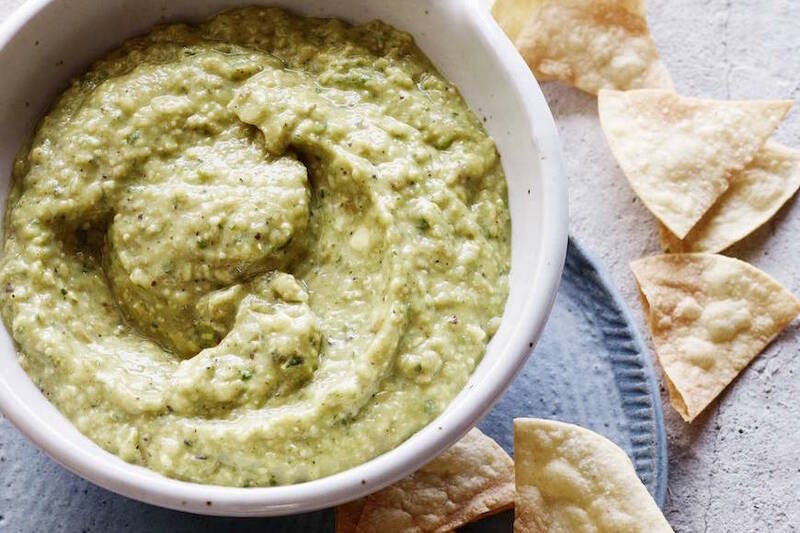 It’s half salsa / half guacamole and 100% perfection. 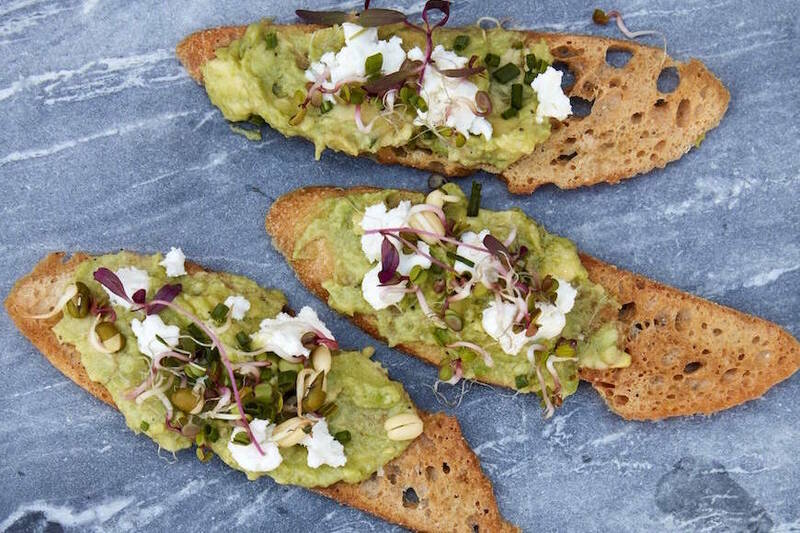 Quite possibly the easiest appetizer of all times – this goat cheese crostini is exactly what you need when you’re whipping up some California inspired snacks! 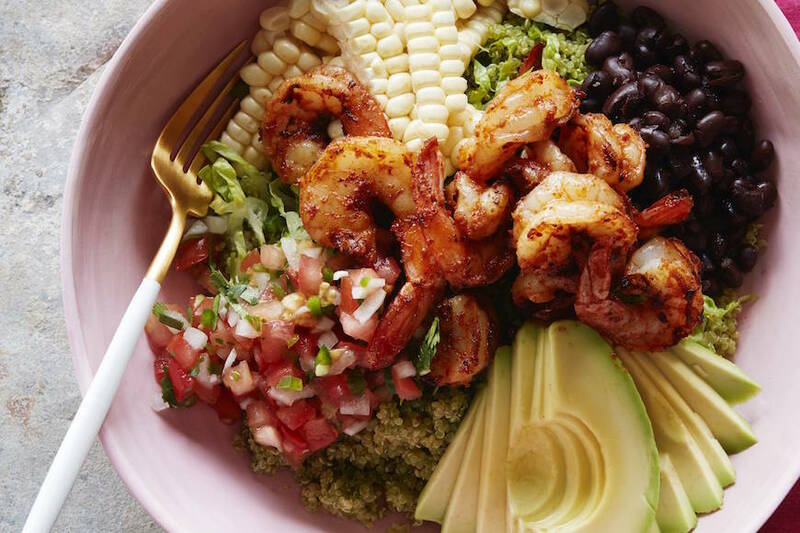 Your new favorite bowl recipe is here – this Avocado Shrimp Quinoa Bowl is jammed packed with cilantro quinoa, pico, beans, shrimp and of course avocado!